Obama to Remove Cuba From State Sponsors of Terrorism List. Why That’s Bad. 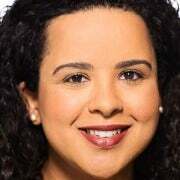 Ana Quintana is a senior policy analyst for Latin America and the Western Hemisphere in The Heritage Foundation’s Allison Center for Foreign Policy Studies. Later this week at the Summit of the Americas, President Obama is expected to announce Cuba’s removal from the State Sponsors of Terrorism List. The State Department has made the recommendation that Cuba be removed and it is expected that Secretary of State John Kerry will recommend Cuba’s removal to the president. This comes to the surprise of no one as Obama already declared his intention to do so when he announced his new Cuba policy on Dec. 17th. Cuba wants the naval base at Guantanamo Bay returned. This is also the same dictator who, only days after Obama’s announcement, ordered the murder of 35 Cubans, by sinking a ship they were on. He followed that up by ordering the arrest of over 600 dissidents in the first three months of 2015. Mind you, Obama now refers to Raul Castro as president and his equal. 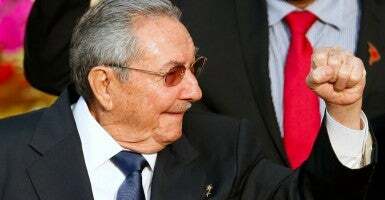 To remove the Castro regime’s Cuba from the list would be to ignore both the Cuban government’s inherently malicious nature and the utility of terrorist designations. Removing Cuba from the list would also remove restrictions that preclude their receipt of preferential foreign aid and trade benefits. Repealing the designation combined with further weakening of sanctions will not bode well for U.S. taxpayers. The regime routinely defaults on foreign loans and is guilty of the largest uncompensated theft of U.S. assets in recorded history, valued at $7 billion. Also, removing Cuba from the list could potentially be in violation of the Export Administration Act (EAA), the law by which Cuba was added to the State Sponsors of Terrorism list. Obama needs to understand one simple fact. Giving a dictator everything does not satisfy the ambition, the greed, the lust for power, and the sense of destiny. The dictator is only emboldened and will continue demanding much more.